Think the hottest topics in the Bible are things like healing and prayer? You might be surprised to hear that there are more references to money than to either of these activities throughout the Scriptures. That's because God knows how important it is to us! If you say you are a Christian and you've given God your life, surely that has to have an impact on how you use your money and how you give. 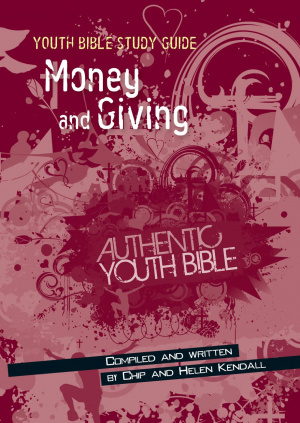 Youth Bible Study Guide: Money and Giving by Chip Kendall;Helen Kendall was published by Authentic Media in July 2014 and is our 7188th best seller. The ISBN for Youth Bible Study Guide: Money and Giving is 9781860246388. Be the first to review Youth Bible Study Guide: Money and Giving! Got a question? No problem! Just click here to ask us about Youth Bible Study Guide: Money and Giving.